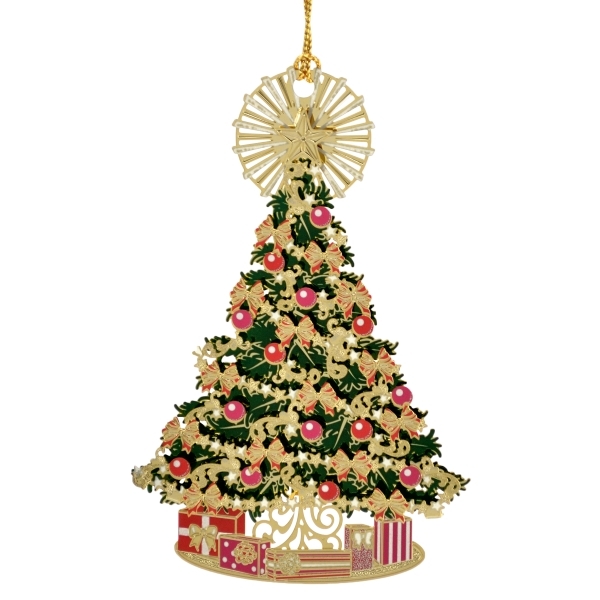 Handcrafted from brass and painted with all of the traditional colors of Christmas, this is the ornament that you will want to take out early every year even before the tree is up. It's shaped like a Christmas tree from brass. The tree and the Christmas decorations are hand painted.